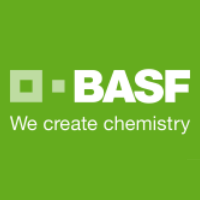 BASF Shanghai Coatings Co. Ltd is a joint venture co-invested by BASF Coatings AG and Shanghai Coatings Co., Ltd established in 1995. BSC mainly produces and sales OEM automotive coatings, so as to provide high-quality coating system for automotive manufacturers, including e-coat, primer-surfacer, base coat and clear coat. With advanced production and technical facility, BSC is now able to provide various car body coating solutions, as well as develop products entirely according to customer demands. Many domestic and international automotive groups such as VW, GM, BMW, Nissan, FAW, SAIC PSA，Geely, Chery and Greatwall etc. are customers of BSC for a long time and BSC was awarded “Excellent Supplier” for consecutive years. BSC dedicated to follow the leading technology and profound experience of BASF in chemical industry, and thus make contribution to the vigorous development of Chinese automotive industry.